A fast absorbing, non-greasy hand and body moisturizing lotion. Specially formulated with Pro-vitamin B5 and Vitamin E, to effectively minimise the visible signs of ageing, nurture and protect the skin. Blended with Jojoba Oil to leave skin feeling soft, hydrated and silky smooth from head to toe. These multi-functional scrubs are perfect for the body, hands and feet. They effectively buff away dead skin cells, boost circulation and moisturize all at the same time. With its premium formula, the scrubs are oil free so they are non-comedogenic and excellent to help dislodge ingrown hairs after waxing and shaving. Recommended use of once a week, and two days after waxing. Now available in New Mini Size Sugar Scrubs and Hand & Body Lotions. A break through spray formula for the face and body. It mildly exfoliates, decongests and helps minimise the appearance and discomfort of ingrown hairs. Arnica and Allantoin soothe angry looking red spots and promote skin healing. 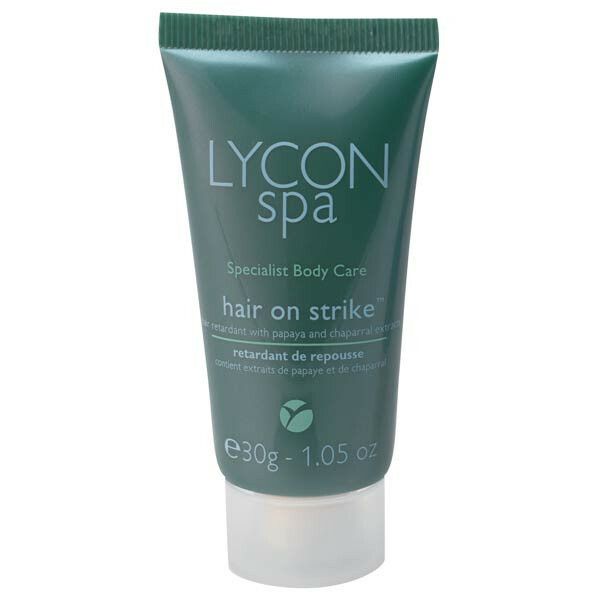 Great for after waxing, shaving, depilatory creams, electrolysis and for regular breakouts and congested skins. Recommend using it straight after waxing everyday for 2 weeks. Hair Retardant with Papaya and Chapparral Extract. Scientifically advanced formula with Papaya and Chaparral extract is proven to visibly diminish the appearance of unwanted hair growth after waxing, shaving, laser, electrolysis and depilatory creams. With regular use the look of hair becomes finer, softer and lighter in colour, as hairless areas develop. Freshly scented Aloe Vera Soothing Gel provides immediate and lasting hydration for the face and body. With the healing properties of Aloe Vera, this gel will help to repair and soothe damaged skin caused by laser treatments, waxing or sun exposure, reducing the appearance of redness. Perfect as a light moisturiser for summer months or in humid climates.